This statistic displays the share of companies who intend to invest in artificial intelligence (AI) and/or machine learning-powered recruiting tools worldwide during 2018, broken down by the type of company. 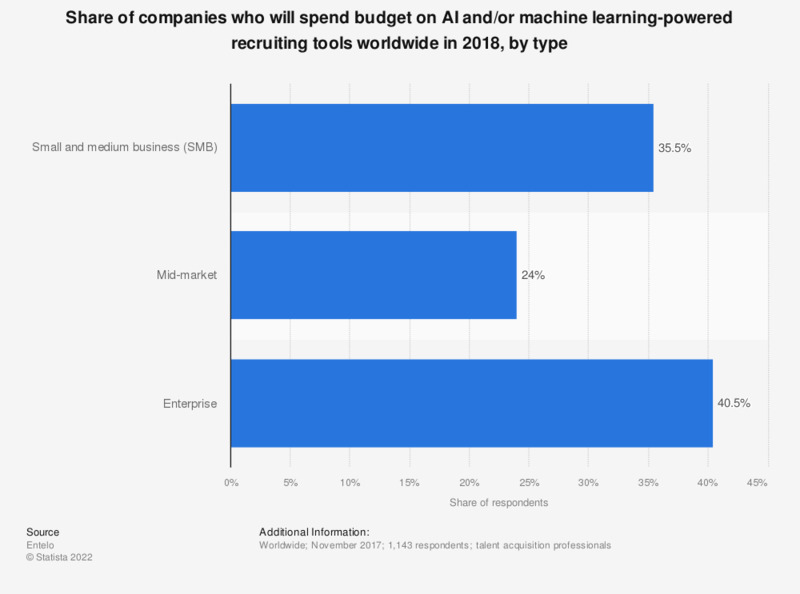 During the survey, 35.5 percent of the companies who intend to invest in AI and/or machine learning-powered recruiting tools in 2018 are small and medium businesses (SMBs). Do you feel generally positive or negative towards artificial intelligence (AI)? What do you think are the key benefits of artificial intelligence?